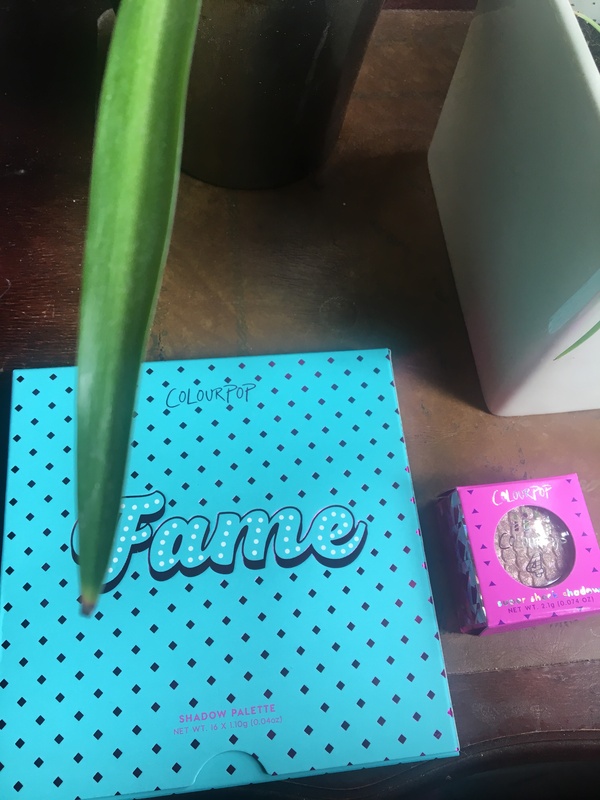 I purchased this ColourPop Fame palette on a complete whim because I saw that it was newly released on the ColourPop website when they were running their birthday promotion, which was a free Birthday Wish Supershock Shadow with any $10 purchase. The color scheme really appealed to me, and it was only about $22, so not too too expensive. I figured I could make a lot of really beautiful neutral look with this palette. The shades were not too powdery in the pan, and very easy to put on the eye. It took a few sweeps of each color to get them to show up in swatches, but they were soft and had enough pigmentation, and I figured they would go on very easily on the eyelid, which I was right about. To achieve this look, I first put Razzle in my crease. Then I put Dazzle and Privy on my lid. I blended Posh and Piece of Me into my outer corner, then Extravagance in my inner corner and brow bone highlight. I put Clubhouse on my lower lash line, and then the Birthday Wish Supershock Shadow on the center of my lid. It was a super simple look, but very pretty. Some great swatches! I love cool-toned palettes and I can’t wait to order this palette.